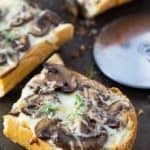 If you’re a mushroom, cheese and pizza lover like me you are going to absolutely love this Cheesy Mushroom French Bread Pizza! 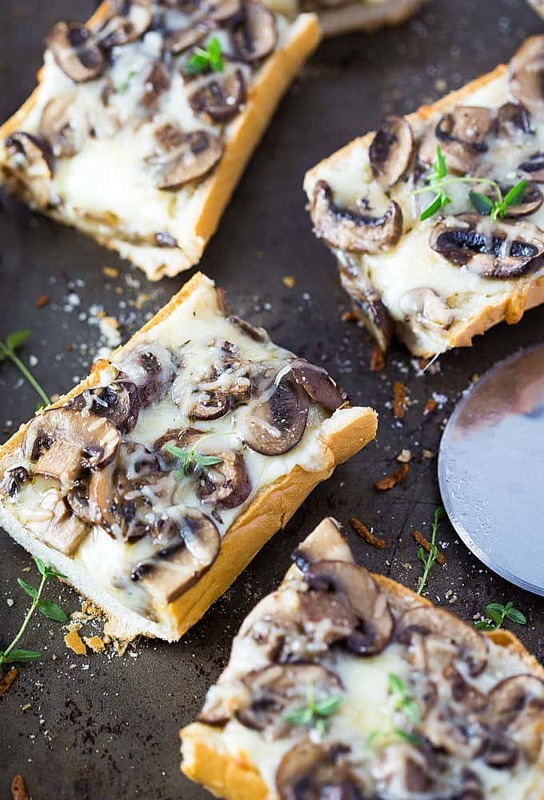 3 of my favorite ingredients come together in this pizza LOADED with perfectly seasoned mushrooms on top of cheesy, crusty French bread. And there’s no tomato sauce! 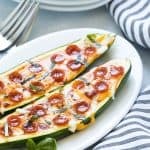 See… I’ve been having these flare-ups of some pretty bad acid reflux here lately but I LOOOOVVVVE pizza. This getting older thing isn’t cool sometimes. 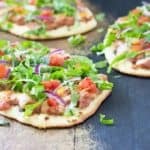 I ate this pizza without any problems because it didn’t have tomatoes or tomato sauce. Thankfully I have it under control now with medication and have been back to eating normally (thank goodness!). 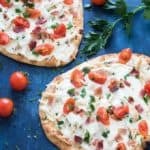 This is one of my favorite white pizzas… ENJOY! Preheat your oven to 400 degrees F. Heat olive oil and melt butter in a large skillet over medium heat. Add garlic and cook until fragrant, stirring constantly (about 1 minute). Add mushrooms, thyme and Italian seasoning. 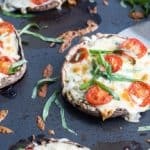 Cook, stirring often, until mushrooms are browned and tender (about 5-6 minutes). Remove skillet from heat and set aside. 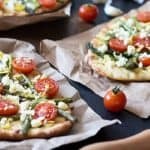 Slice French bread lengthwise and place cut side up on a large rimmed baking sheet. 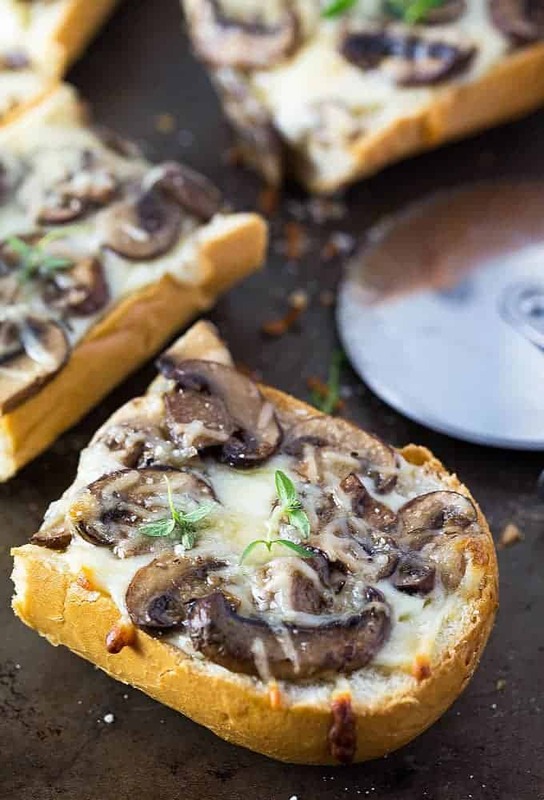 Sprinkle evenly with mozzarella cheese, then spoon mushroom mixture evenly over bread. 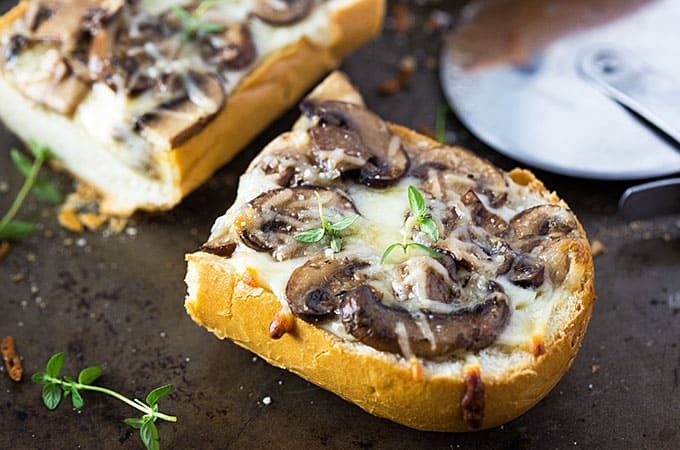 Sprinkle Parmesan over mushrooms. 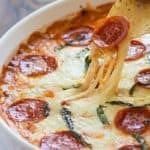 Bake until cheese is melted and slightly browned, about 10 minutes.